The Type Tuesday event at St Bride Library in London (1 April 2014) is not only about food, but about clients. 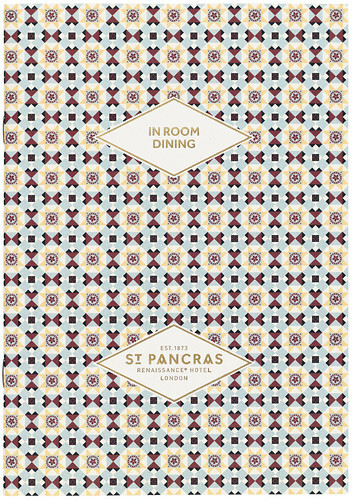 Menu design for the St Pancras Hotel. Design: North. Perkins says, ‘One particular client who could be perceived as both heaven and hell is a visionary client who I value, respect and like immensely. Alan Yau is an international restauranteur based in London. I believe he is one of the best. ‘We have worked in collaboration for nearly fifteen years and in that time we have helped him create all his restaurant concepts since the launch of Busaba in 1998, and we [North] are still today collaborating on several new projects. ‘Alan is the most incredibly talented, visionary but temperamental, opinionated and extremely hard-to-please client you will ever meet!’ says Perkins. 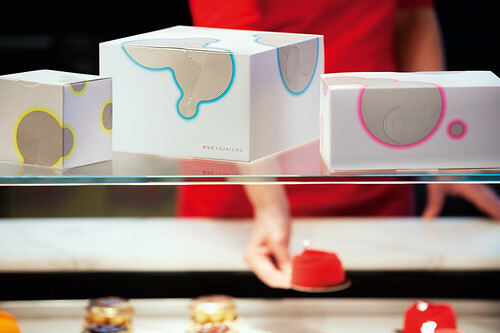 North’s packaging for Yauatcha products which includes luxury teas, macaroons, cakes and chocolates, 2007. 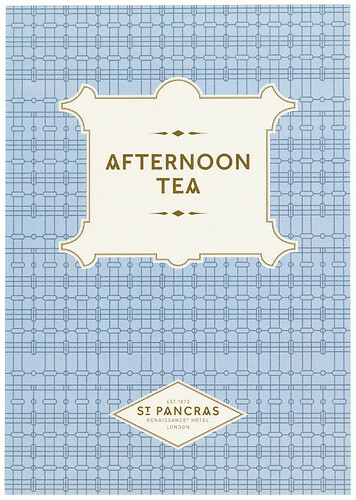 Commissioned by restaurateur Alan Yau. On the theme of designers and clients, see also Eye 81, which includes Chris Maillard’s ‘The far side’, a Reputations interview with John McConnell and Rick Poynor’s article about Henry Cohen and his covers for Gallimard’s Idées series. 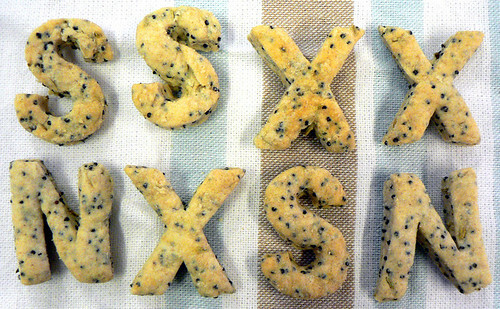 Sarah Hyndman’s savoury Helvetica type biscuits. Impact, made with dark chocolate and chilli flakes. 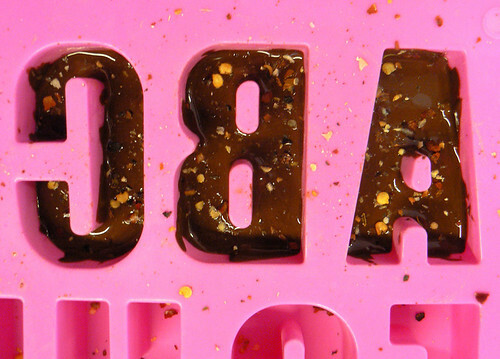 Other speakers at Type Tuesday include David Lane and Marina Tweed of The Gourmand and Sarah Hyndman of Type Tasting. The evening will conclude with a panel discussion about many aspects of food and graphic design with the speakers and Eye editor John L. Walters. This is the first of Eye’s quarterly Type Tuesday evenings in 2014. To celebrate the launch of Eye 87 and its distinctive Tea Cake cover, the Eye stall will have some tasty type and Tunnock’s treats. (See ‘Sticky business’ in Eye 87.) You can also buy subscriptions and bargain back issues. See ‘Luxury of less is more’, about North and Sean Perkins, and Sarah Snaith’s ‘Raw like sushi’, about alternative food magazines, in Eye 87. 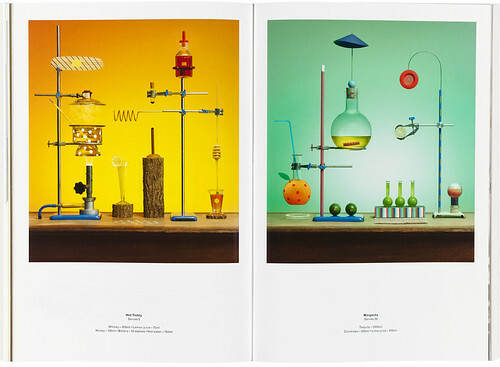 Spreads from The Gourmand no. 2, 2013. ‘Measures of Quality: The Five Cocktail Families’ featuring a hot toddy recipe (left) and margarita recipe (right). Set design: Jamie Julien-Brown. Photography: Jess Bonham. Doors open 6.30. Event from 7-9.30 approx. Tickets available from Eventbrite.St Bride Library, Bride Lane, Fleet Street, London EC4Y 8EE, UK. Dates for your diary: the next Type Tuesday events will take place on 3 June, 2 September and 2 December 2014 at St Bride Library, London.